Newly elected Dons Trust Board member Hannah Kitcher wants to talk about disrupting the boardroom norm, and about accountability. This is my first programme article as a Dons Trust Board member, on the occasion of AFC Wimbledon’s first ever fourth-round FA Cup tie. This game – and, as a by-product, this article – have come about thanks to a memorable victory at Fleetwood Town’s Highbury Stadium in the third round, a game that also gave me my first experience as an invited guest in a football club’s boardroom. This was an opportunity for me to see a new stadium and to meet another club’s fans and board members. It was a chance also to experience a match from a very different perspective – a perspective that not everyone gets to experience, in particular women. It isn’t too surprising, for example, that the stated dress code for the boardroom was “collar and tie”, because boardrooms across the country, football and otherwise, are male-dominated. Of the 92 clubs in the EFL and the Premier League, last season only seven of the chief executives were women. And female chief executives of FTSE 100 companies (6) are outnumbered by Davids (8) and Steves (7). A dress code setting out how a male in a football club’s boardroom is expected to dress did have me wondering, “Then what am I expected to wear?” And also, “How do I combine being both smart enough and warm enough to make it through a match in January in the North-West of England?” It could have also led me to wonder whether I was really welcome – though that obviously wasn’t the case. The Fleetwood board were as welcoming as AFC Wimbledon and the Dons Trust have been. There are some antiquated traditions that will inevitably take time to challenge. 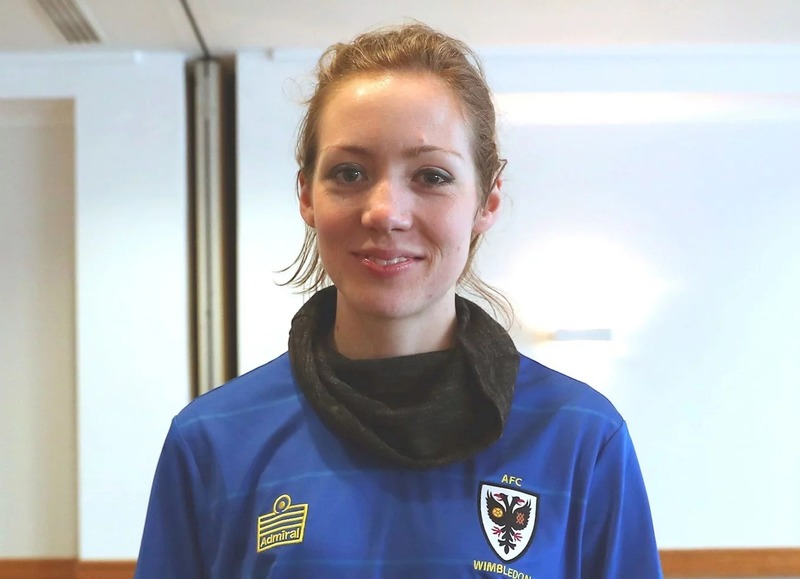 But we should be proud that, for the first time, three of the nine Dons Trust Board (DTB) members elected to represent our fans-owned club are female. Approximately a third of all football fans are women, so we should be proud that, according to this metric, we’re on track. The line of accountability at our club runs from the football club’s directors, through the club’s CEO and up to the fully elected DTB, which is, in turn, accountable to the Dons Trust membership as a whole. So what other metrics and measures can help members ensure that the DTB is on track and delivering their targets? Indeed, league position is a good one. But what about how we balance the inevitable desire to do well on the pitch with the need to also be a healthy club off the pitch? Are these two aims mutually exclusive? All DTB members are elected largely on the basis of the promises we set out in our manifestos as candidates. One of mine included: “To champion diversity and inclusion at the club and wider football, particularly through supporting Women in the Game.” But how can I “prove”, at the end of my two-year term, that I have done this? Is simply being a female board member enough? Such broad statements of intent are vulnerable to individual interpretation. I may be able to argue that I had achieved it, while another person may argue otherwise. This month, the DTB is in the process of setting its targets for the year. These targets, both collectively as a board and as individual members, must be SMART – an acronym any project manager is likely to be familiar with: they must be Specific, Measurable, Achievable, Relevant and Time-based. The DTB oversees an organisation with a multi-million-pound turnover. We’re not employees, but just as in any other well-functioning organisation, we should have targets. My manifesto promise could, for example, become a SMART target by setting out a specific yet achievable number of Women at the Game fixtures per season that I will support in making happen. We have yet to set out our targets, but in the meantime, let me give you something to hold me to account for: if these targets are something we haven’t shared with you by the end of February, please feel free to come and have a word with me! I welcome your comments, thoughts and questions on this and other Dons Trust matters. Please contact me at hannah.kitcher@thedonstrust.org.uk. This entry was posted in News and tagged matchday programmes, programme page. Bookmark the permalink.